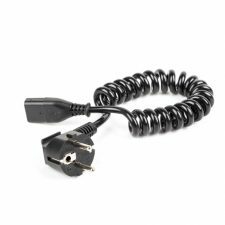 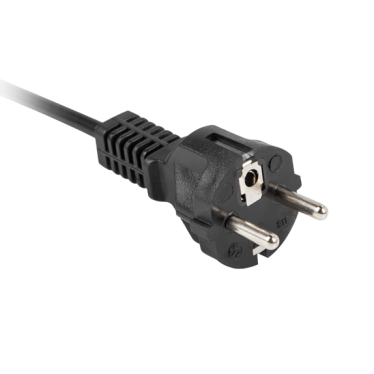 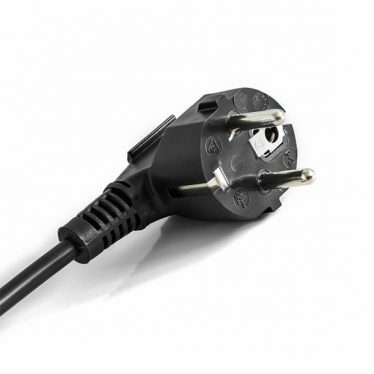 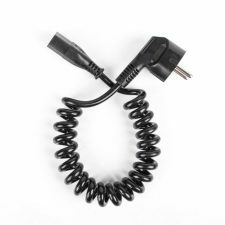 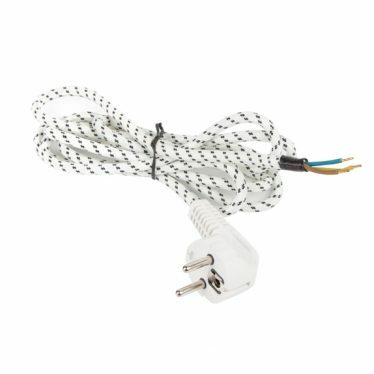 Sealed angular plug with a spiral cord designed to connect common use receivers Class I (requiring protection) to the mains network via the socket outlet, for example washing machines, refrigerators, heaters, computer hardware, extension cords, etc. 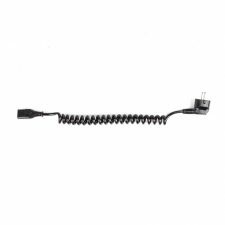 Part of the cord is wound in a spiral. 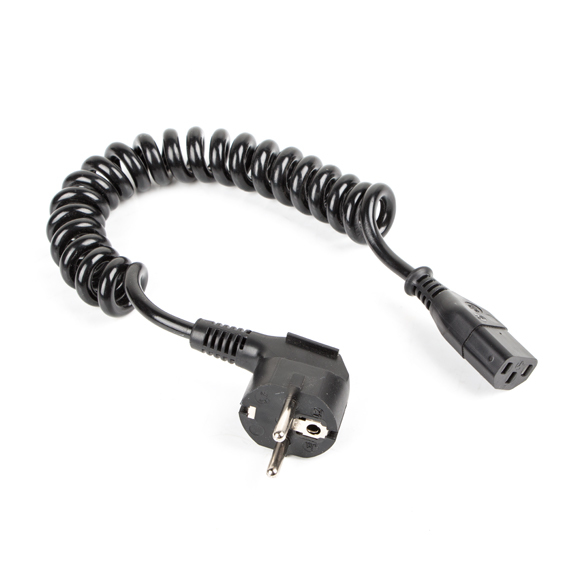 The other cord end is prepared for the connection to the receiver.